You may be married to a star, but that doesn’t mean they’ll treat you like one. I felt like an animal, and animals don’t know sin, do they. 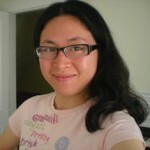 Jess C. Scott is a Singaporean author and entrepreneur. She writes edgy/contemporary fiction, with a focus on psychosexual themes and love/emotions. Her literary work has appeared in a diverse range of publications such as Word Riot, ITCH Magazine, and The Battered Suitcase. She earned a BA degree from Adams State College. She has written several books include: Eyeleash (novel), 4:Play, Wicked Lovely, The Devilin Fey, The Gift, The Intern, The Other Side of Life, Play, Playmates (Won- Readers' Favorite Five Star Award in 2014), and Owned. She is the founder of jessINK, a publishing company dedicated towards creating meaningful entertainment.